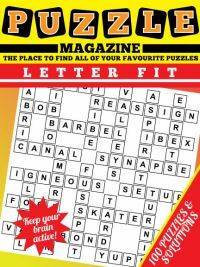 You can see a sample puzzle page to the right of this text. 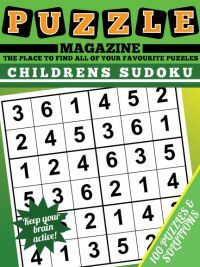 We hope you like the look of it and give it a try! 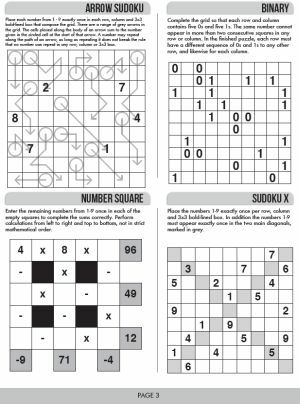 Full instructions are given with every puzzle, so if there is anything that is unfamiliar, don't worry - we give clear rules. 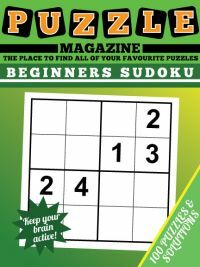 In addition, you can always look at the solutions which are all at the back of the book, either if you get stuck, or when you first come across a puzzle if you want to double-check that you understand the rules and how it works. 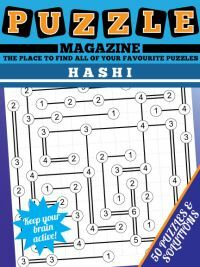 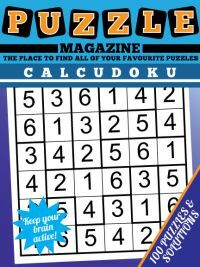 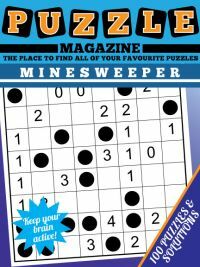 With a mix of familiar and perhaps less familiar number puzzle variants, we hope that there is something for everyone who loves number/logic puzzles in this magazine - as ever we'd love your feedback so if you have any thoughts on the puzzle mix and anything else you'd like to see, please do contact us and let us know.